Adding the back to top scroll button to design a blog is a very important one. And it also facilitates visitors to scroll to the top. If you have not yet added this widget to your blog, then with this help you can easily add back to top widget to your blog in your blog. When friends write big articles, when someone is reading it on our blog then it can be difficult to move up or down, because the article becomes so big and has to scroll too much to get back up. 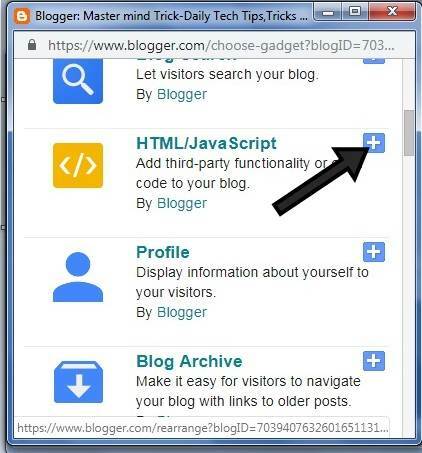 For this, use the "Back to Top button" Once you click on the Back to Top button, your Reader will reach the top of the blog. 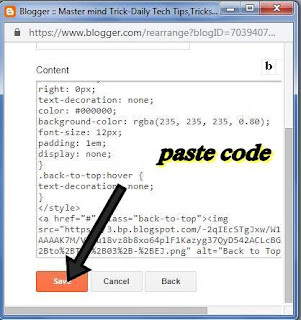 By adding the Back to Top button to the blog, it is a relief to our visitor that no matter how big the post we read, in just one click, we will reach the top of the blog and the other, the beauty of our blog increases, then in this post I will tell you how to apply the "Back to Top button". Step 2: Then you go to Layout >> Click Add Gadget. Step 5: Then you save the widget. I hope you enjoyed this information and you have added the back to top widget to your blog. If you have got any queries associated with this post, please comment. Subscribe to our blog's Feedburner to read our blog's latest updates directly in your email. If a post is good, then share it on social media.